Upon completion of the successful IGA solar PV trials at IGA Canning Vale and IGA Geraldton, Solargain received approval from the Metcash state retail operations manager, Kevin Rothery, to approach all the individual IGA store owners in WA. Ross Anile at Roleystone SUPA IGA was one of the store owners impressed with the results of the trial and who wanted to investigate the benefits of commercial solar. The attractive tax free return on investment and value addition to the business bottom line were some of the main reasons behind his decision to invest in a solar PV system. 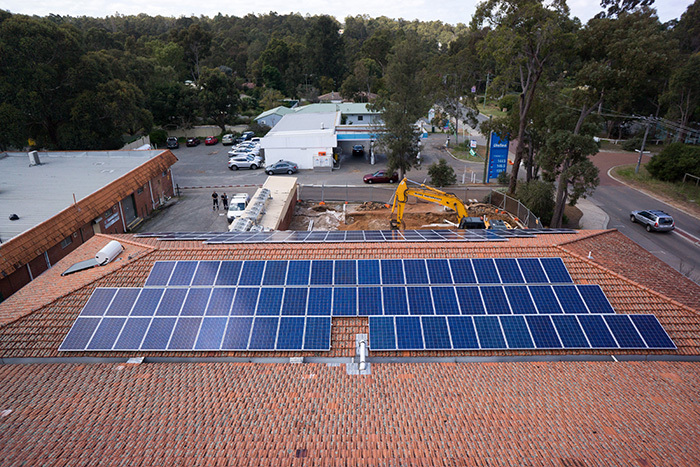 The approach taken by Roleystone SUPA IGA was to start with a 30kW system size and from there once the results were satisfactory, upgrade to a larger system in a number of years time. They also invested in a solar hot water system as a means of further offsetting energy costs. 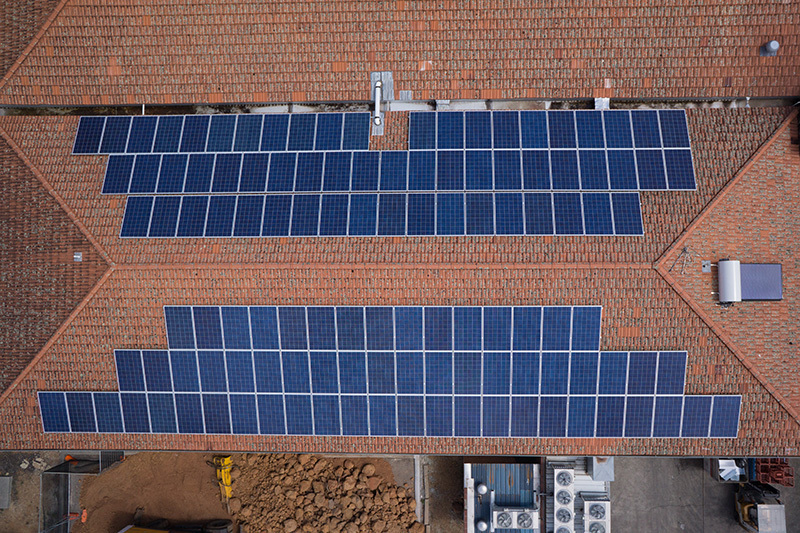 The solar PV system comprises 120 x 250W Renesola panels and 2 x SMA 15000TL Sunny Tri Power inverters. The system is split evenly across and flush mounted to the East/West orientated roof. The attractive tax free return on investment and value addition to the business bottom line, were some of the main reasons behind the decision to invest in a solar PV system.